I am sure you have a lot of beautiful (and useful) dishes but, let's face the truth, none of them are as original and interactive as the City Plates, they are exceptional! 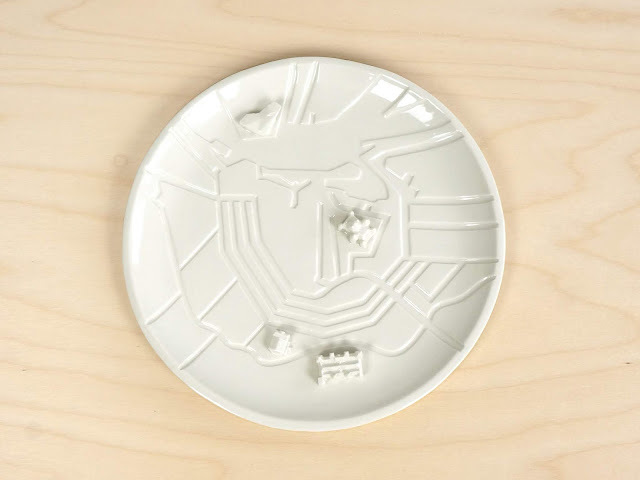 First of all, they are made with porcelain and resembles a city's unique landscape and if you want you can add a pinpoint to anywhere you want! For now there are only a few cities created, but if they fund the project they have a lot more in mind!